The owners of free-layout apartments prefer Loft as interior design style: spacious rooms and high ceilings make it possible to fully reveal the beauty of this style. 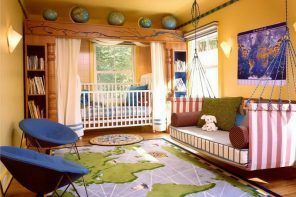 Young people prefer Loft style interior to other largely due to the fact that it emphasizes individuality and, at least, it looks interesting and nontrivially. Creative people: Loft apartment or salon is ideal for exhibitions of artists, architects various presentations. Thrifty people: Loft design assumes the minimum cost of finishing materials. In addition, expensive furniture in the interior is optional. Interior of Loft style apartment also will be appreciated by the dynamic and confident personality: it never better reflects the rhythm of modern city life. To “perceive” the original style, you need to know the history of its occurrence. Originally «loft» means the attic. In the forties of the last century in association with the raising land prices, the New York factories and workshops had to move from the city center to the suburbs. The freed areas, predominantly lofts in Manhattan, began to be occupied by artists: they were attracted by a low rental prices of premises as well as their own functional characteristics (good lighting, high ceilings). Here they were held exhibitions, equipped studios, in a word – they had been creating. By the 50-th year Loft apartments have become very popular and “received the status of” gentrification: the intelligentsia and the elite: successful lawyers and financiers began to rent large rooms in the historic center of the city, which were no longer affordable to the young artists. 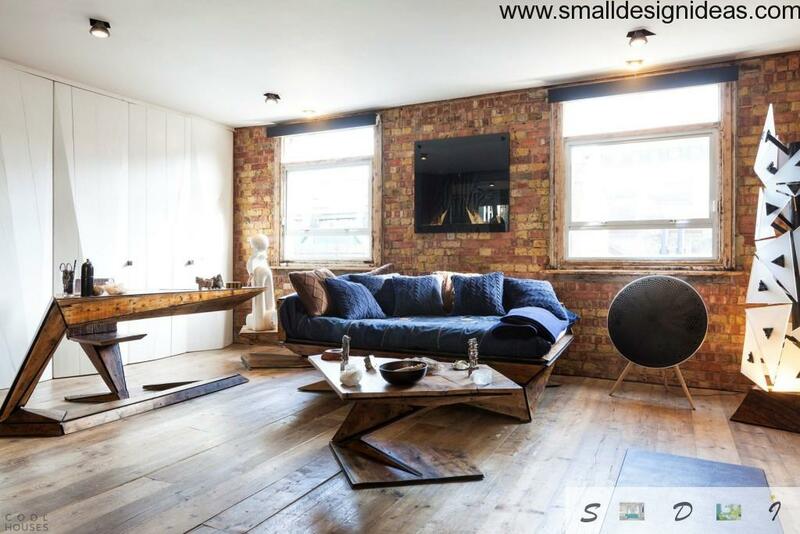 As a rule, Loft project does not involve the separation of premises for the rooms, creating only the various zones using furniture, screens, mobile and stationary partitions, lighting and other visual zoning techniques. Traditionally, Loft apartment or house is a large area and a maximum free space, the use of contrasting materials together, textures and colors, exposed utilities and high ceilings. Basic finishing materials used in this style are brick, concrete, wood, glass and steel. The color scheme of the interior, generally, is sustained in soft colors with a few touches of different color (bright accents look spectacular on the dim background). 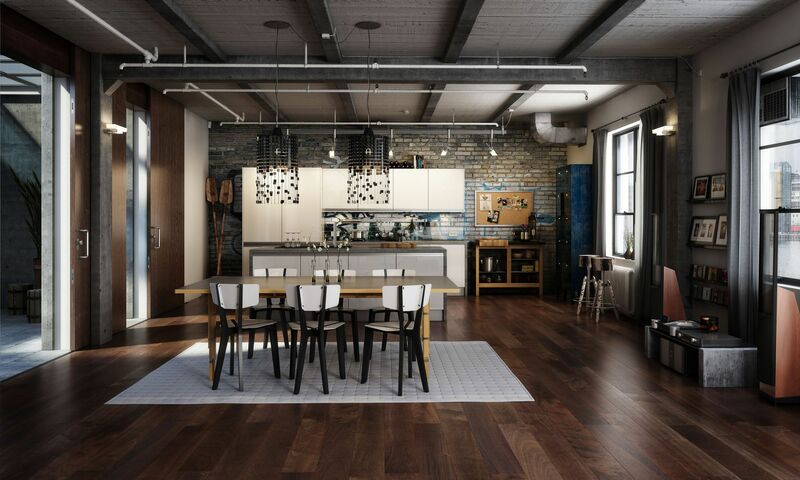 Recognizable Loft interior is a large room with a brick, painted or rough plastered walls, floors of natural boards, modern appliances and a minimal amount of furniture. Many people believe that the Loft is for a large, detached house, and that it is impossible to recreate this style in the apartment. 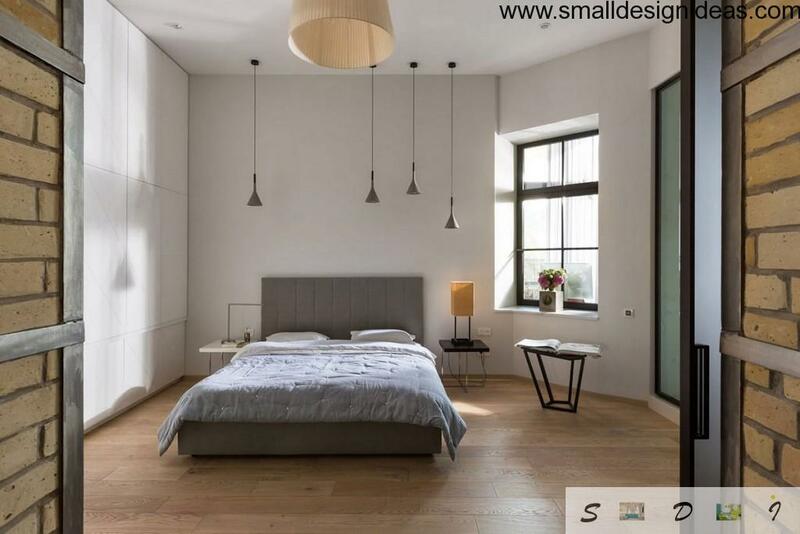 It should be noted that to realize style Loft interior in small apartment is quite possible, but it is important to order the design from a professional interior designer. Many of the inherent features of this style have been used in furnishing for a long time: decorative beams, combined bedroom with living room, kitchen, living room, brickwork. Agree, all of these examples can be found in many model homes. 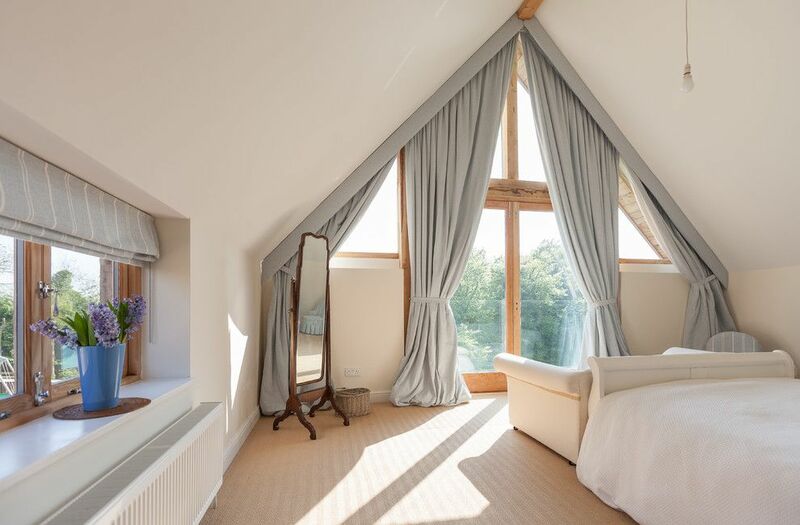 Moreover, loft-style will help you to enlarge visually the space of the room. Rough texture and used as furnishing raw materials bring to the interior in the loft style special “factory” atmosphere and wallpaper dark and saturated colors set bohemian mood. This amazing combination of seemingly incompatible materials allows you to create interesting and original design of any room. Order design of the apartment or home-style Loft means to achieve an original, bright, spacious and a few simple premises, bordering with hidden glamour and luxury. Loft – it is the spirit of creativity and freedom, unlimited space for self-expression and rejection of the accepted norms. In other words, Loft – it’s a lifestyle. Loft kitchen is usually combined with a living room or dining room, from which it`s “separated” by visual techniques: change of materials, color schemes, bar. 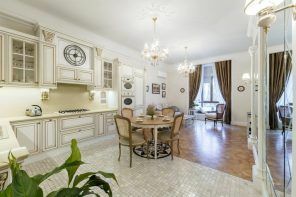 Bare brick walls or simply plastered walls are the perfect backdrop for a stylish modern kitchen appliances and some rarity sink and refrigerator of the last century. Loft is tech style, that`s why it is not worth to “mask” kitchen equipment. The technique of steel color is preferably to use. Form of kitchen units is selected based on the zoning techniques used: it may be linear, angular, or island scheme, but preference should be given to headsets with clear shapes and clean lines, simple and functional. Dining area can be identified with the help of lighting: excellent for this purpose cope with long suspension lamps (if the ceiling height). Also, if the ceilings in the kitchen are low, you can use the built-in lights. You can separate the kitchen from the living room using a different flooring: ceramic tiles can be used in kitchen, and wood in the living. In the work area of the kitchen you can distinguish the apron: uses plastic, ceramic tiles, decorative brick, metal or glass for it. Alternatively, you can lay out small apron with monochrome mosaic on the wall. 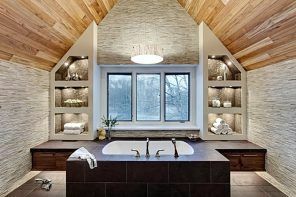 Loft-style interior design of bathroom supposes a complete lack of partitions. Even the shower can be opened from all sides. To zone spacious room of bathroom you can and you should: it is desirable to use color and light techniques, different materials and finishes of walls. Loft-style bathroom, may be the room in which, for example, the most fashionable steel tiles and plumbing are combined with rusty pipes. In the spacious bathroom, to increase its comfort, you can arrange the furniture: it can be a rarity furniture or modern furnishings, but more important, that they should be blended with all elements of the interior. Loft living room implies the mandatory presence of a factory atmosphere of the past, strictly opened layout. Loft style living “reveals” by uncovered pipes or beams, the ventilation system. 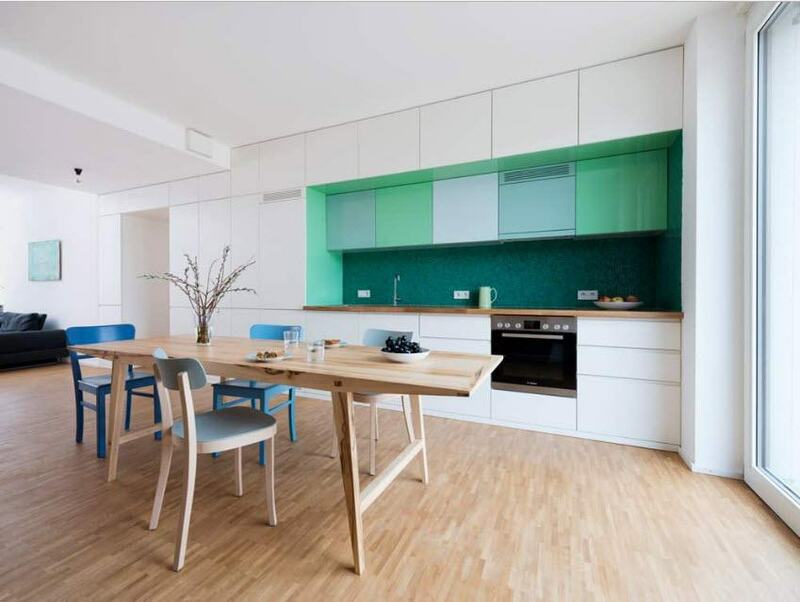 The color scheme of the interior depends on the personal preferences of the owner: it can be bright colors (red, green, blue, cyan) or juicy accents against a quiet background. Some owners prefer to decorate the living room in gray, white or beige colors; monochrome, and combined finishing. To order room design in loft style means to have the opportunity for beautiful and stylishly draw any room, choose a non-standard color scheme and furniture. Loft bedroom involves the use of a simple and functional furniture. 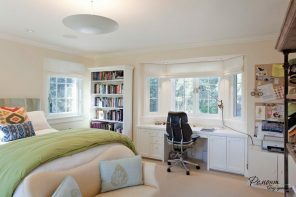 The bedroom, as an intimate space, can be separated from the rest of the space by a screen or opaque partition. The bed, made in a minimalist style, will perfectly fit to the Loft bedroom. In addition, it may include drawers: decorating interior in the loft style you should avoid of cabinets. If you can not do without a cabinet, it is better to use the built-in entire-wall cabinet, merging with the general background of the room. Design of the apartment in loft style is an amazing combination of old and trendy, past and present. Loft Design apartments is a true design artwork and a unique opportunity to express yourself. Loft-style houses, like apartments, should be minimally furnished – this is one of the most important rules of design in this style. While furniture should not be necessarily located near the walls. You can use built-in cabinets or shelving with open shelves. Loft furniture may be vintage or modern, but simple forms are preferred. Traditionally, furniture in this style are made of plastic, wood, steel, leather and aluminum (in the furniture finishing using of inlays from plastic and chrome or metal is encouraged). To the Loft furniture can be attributed: long transformable sofas, open chrome shelving, mobile dressings as a metal hanger on wheels, folding chairs, chairs with castors. Key points: straight and simple seats, respective furniture decor. Everything should be functional and concise. For example: by sewing together linen or cotton covers for furniture with lots of jeans pockets and different applications, you can greatly change the already existing furniture. 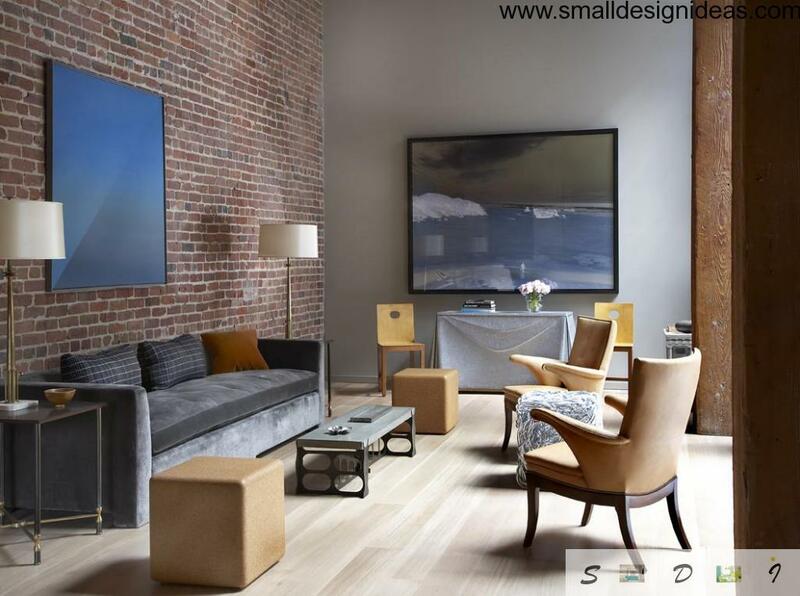 Modern furniture in a minimalist style is perfect for Loft-style studio or apartment furnishing. Air, vast, open space – that is what Loft tends to and it is important to remember when choosing furniture, interior design. It is worth noting that the modern audio-video gadgets in the interior, designed according to style canons, can play an important role. Loft style accessories are very original: advertising signs and traffic signs, street plates and house numbers. You can order a graffiti painting of walls. Also, as an option, you can order a cheap canvas painting for your Loft interior. It is desirable to be an abstraction. Picture frame can be massive and expensive vintage frame or a simple modern one. It is not necessary to hang it: ​​paintings, arranged along the wall, also have interesting look. You can also meet inherent to other styles objects in the Loft interior: Chinese vases, accessories in ethnic styles. The New York Loft interior is textiles with simulated Dalmatian or zebra coat.